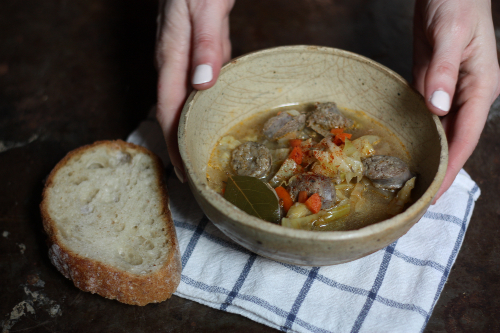 The weather of late has called for warming soups that are flavorful and pack a little heat. 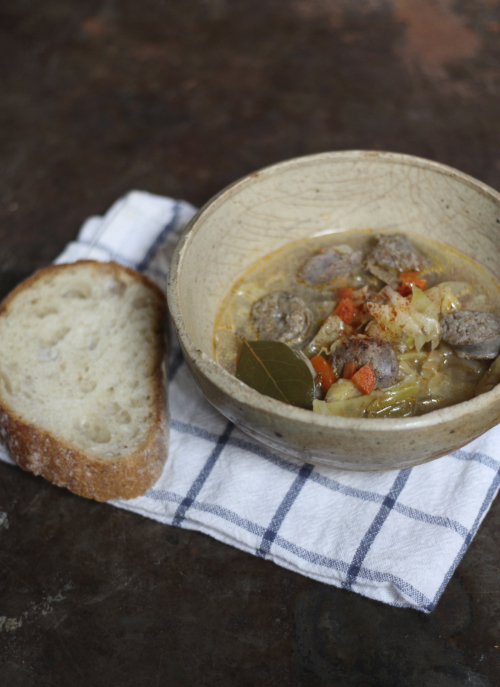 This soup takes care of both and has the added bonus of tasting like Hungarian stuffed cabbage! Start by sautéing carrots and onions in olive oil in a large soup pot. 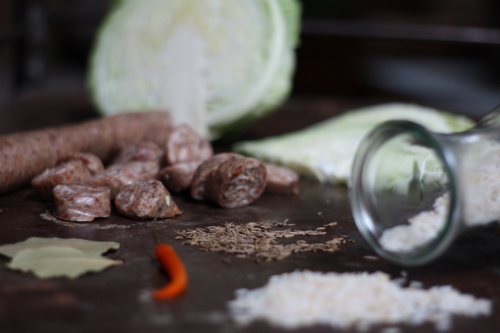 Once soft and translucent add sausage, caraway, paprika and Thai chili pepper. Sauté' until the sausage is cooked, stirring frequently. Add the cabbage, stirring to combine then stir in the broth and water. Season with salt and pepper and simmer for 45 minutes. After 45 minutes add the rice and continue to simmer for 30 more minutes until the rice is cooked and tender. 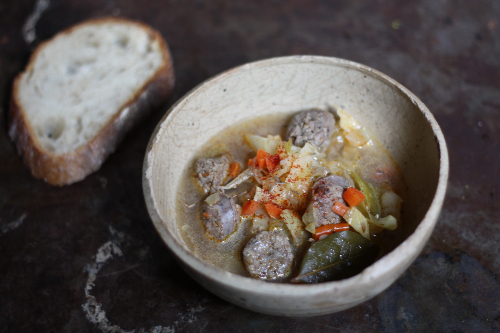 To make this soup vegetarian omit the sausage and use vegetable broth. This soup is quick, easy to make, and packed with hardy flavor. 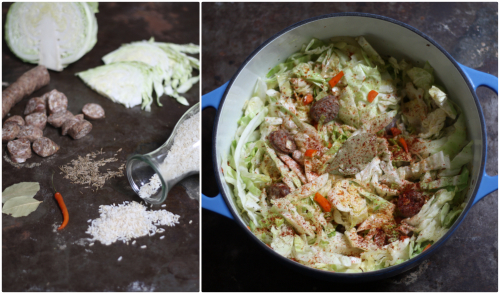 It makes enough for dinner with plenty leftover to freeze or have the next day! What is your favorite soup to enjoy this time of year? I'm used to eating the Polish version of stuffed cabbage. The kind made with ground beef. I'm considering trying this with meatballs instead of sausage to get the same kind of flavor that I grew up with. This was SO GOOD. Cheers for the recipe.